We invite you to visit Architect Donald Gardner’s Rendering to Reality series, where you can follow the progress of a Tingen Construction Company home from initial home plans, to breaking ground, to being move-in ready. In this series, you will get the opportunity to see the building process of Donald Gardner’s Paxton plan in Knightdale’s Glenmere. Click here to visit the blog! And check back frequently as new installments and updates are added. At 2,659 sq ft, this home is available at 534 Glenmere Drive and includes 3 bedrooms, 2.5 baths, and a 2-car garage. 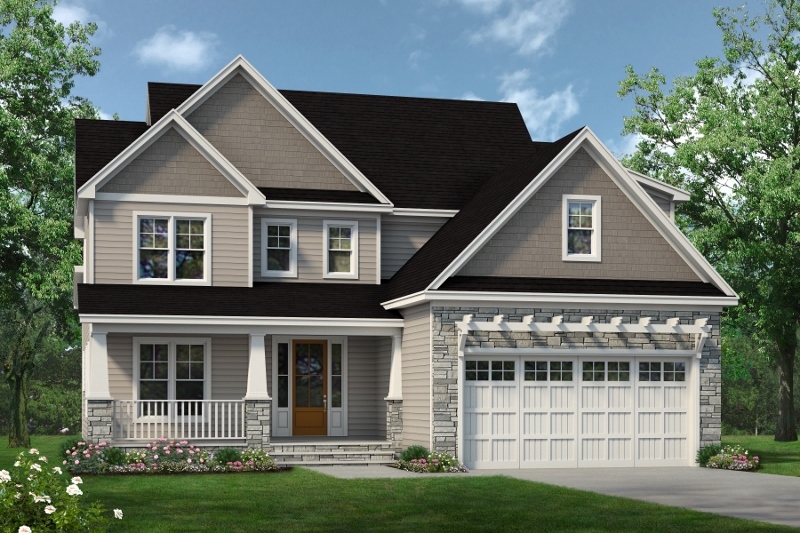 Priced at $439,900, the Paxton features a sought-after 1st floor master suite. Enjoy an open concept plan with flowing space between the kitchen and family room. Other details include a formal dining room, and a 1st floor utility room with an adjoining drop zone. The 2nd floor includes two bedrooms, a full bath, theater room, and space for an optional 4th bedroom and bath.